Once May finally hits, I feel like I can start storing all my winter clothes and start to pull out all of my warm weather favorites. I’ve definitely been online shopping like it’s the middle of Summer so my sundresses are in huge supply right now. I think one of my newest favorite dresses is from this designer that I just discovered called Southern fRock. Their style totally reminds me of Lilly Pulitzer and it just makes me love that much more. I’ve never owned a seersucker dress before and now I can’t imagine life without at least one. It’s so light and breathable that it makes it perfect for any super hot day where you feel like you might get a little bit sweaty. 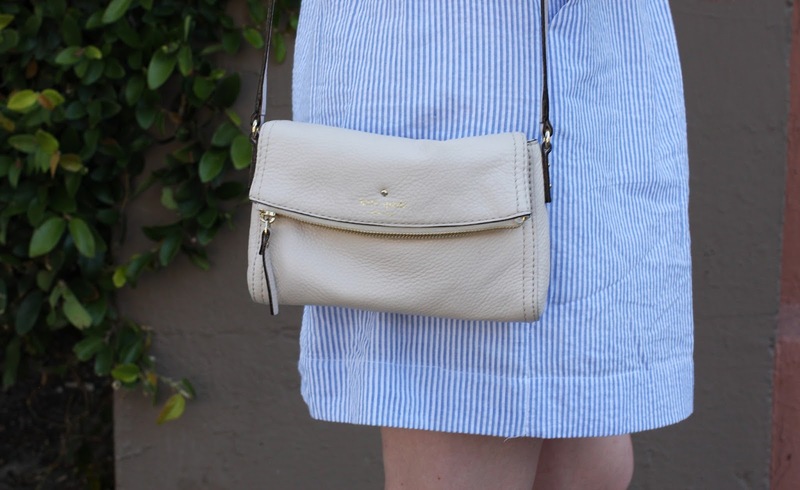 I loved the vertical stripes and the fit and flare style was perfect for brunching about town. I think another reason I’ve been in love with this dress is the pockets! YES, how do dresses exist today that don’t have pockets. It makes it so much easier to carry my phone and favorite lip color of the moment when I have a small pocket to throw it into. This dress is a classic! Love stripes for summer. Lovely look! I think this might be the perfect summer dress! Too cute. Cute dress! I love the print and it looks perfect for summer. That is so simple, yet so pretty – I love it! Cute look! That dress looks great on you! I love a good seersucker piece! This dress looks great on you! You are just rocking that seersucker dress!! I feel like I look silly in seersucker, so I am not sure I'd look as great as you do! Love your style! What a cute dress! I love seersucker this time of year. I saw a wedding dress out of seersucker a year or so ago, it was the most stunning gown. Perfect for a summer wedding. Can I say how pretty you are looking in this dress! 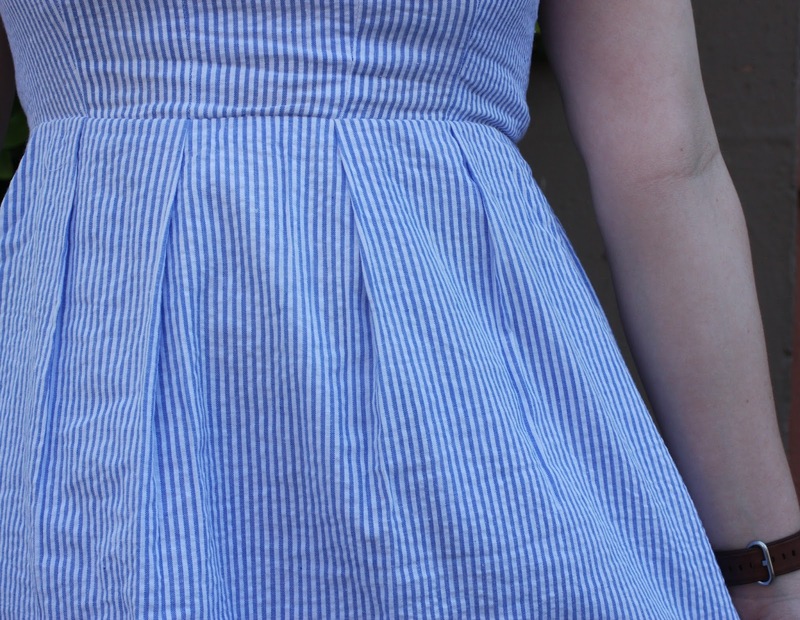 Pin-stripes are totally my thing and I love how someone decided to make such a cute dress with pin-stripes!